Get inspired with the latest trends in visual communication to add something new to your strategy next year. At Depositphotos, we thought quite a lot about about how trends in marketing influence visual communication. The images we choose to communicate with existing and potential clients can influence customer retention and even acquisition. We placed emphasis on the concept of personalization in marketing when we named our first trend — The Era of Personalization. In this brief infographic, you’ll find a quick recap of the 9 trends that we’ve spotted through research, as well as with the help of the Depositphotos content curators, and international photographers and designers. Our trends are hopefully a nudge in a new direction. It’s time to try something new and different. It can even start with something small, like your choice of visuals in light of new trends, ideas, and movements. Visit our website for the full cover on the 2019 visual trends. 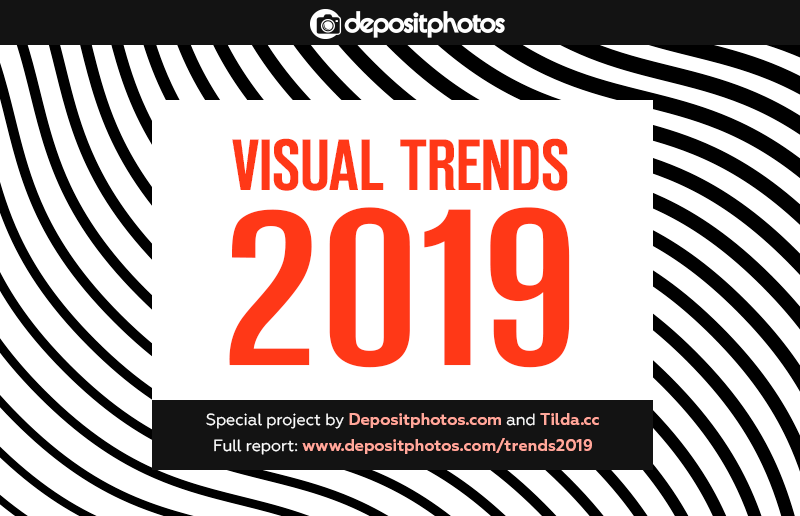 9 Visual Trends on the Rise in 2019 [Infographic] was originally published in Marketing And Growth Hacking on Medium, where people are continuing the conversation by highlighting and responding to this story.